Where ever you find yourself in Egypt, there are always exciting tours to be had. We offer a wide variety of Egypt Excursions from any location in Egypt. 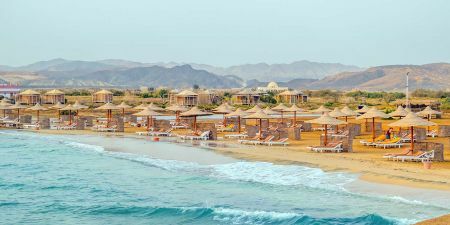 Explore the interior of Sinai visiting St. Cathrine monastery, Mount Sinai, Beautiful beaches or visit the biggest open air museum; Luxor visiting Luxor Temple, Karnak Temple, Valley of the Kings, Hatshepsut temple. Explore Aswan attractions such as Philae Temple, High dam, Abu Simple Temple and more. Spend a Day in Cairo visiting the great pyramids of Cheophs, Chefren and Mykreinus, old cairo, museum and more. We offer a comprehensive selection of Egypt day tours to suit all traveler. There are countless things to do and see in Cairo. Choose from Memphis Tours' Egypt Excursions now. 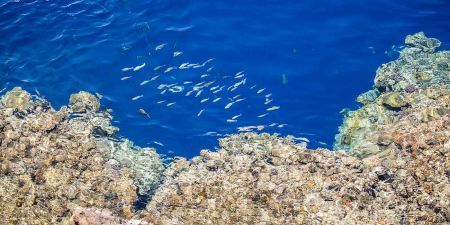 Sharm El Sheikh offers array of activities, choose your favourite tour from Egypt day tours. Book Now! With Memphis Tours you can find big variety of variety of Hurghada Tours and Excursions. Book Now! 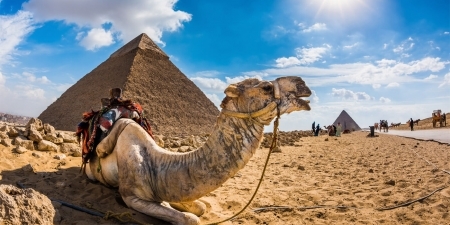 First enjoy the unspoilt beaches of Marsa Alam and then see a bit more of Egypt day tours! From the relaxing Nileside city of Aswan, you have access to many great day tours and activities. 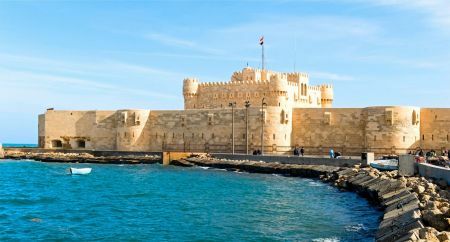 Discover the history and beauty of Alexandria with Egypt day tours and excursions. Book Now! Dahab Excursions and Day tours can take you to Cairo to see the Giza Pyramids, Petra, Luxor and more! Is Egypt considered a safe destination? Egypt generally has a very low crime rate. You will feel safe in Egypt as the government is taking sensible precautions besides, in a recent report by Forbes Egypt was listed safer than USA and UK. Why book with Memphis Tours Egypt? We have been in the business in Egypt since 1955 and pride ourselves on using this experience to create consistently high quality, personalized tour experiences. Is there a special rate for private groups booking with Memphis Tours? Yes, Memphis Tours Egypt does provide a discount for private trips booked with large groups. How much will I have to pay as a deposit? The deposit required will be 25% of the total price of the tour, except during peak travel times around Christmas and New Years, when the deposit will be 50% of the total price. Is there any surcharge on transactions completed using a debit or credit card? Memphis Tours Egypt does not charge any additional fees or surcharges on any debit or credit card transactions. We accept Visa and MasterCard. How can I obtain my visa to visit Egypt? What kind of transportation can be used to move in Egypt cities ? There are several transportation options available from the Cairo Airport. The fastest and most common way is to take a taxi. It is advisable to avoid riding in the old black taxis as they don’t use meters and the drivers may ask for an exaggerated fare. The new white taxis, which use a meter, are a good choice if you are going anywhere around Cairo. The metro is one of the best ways to go from one place to another within Cairo. With the streets being crowded with cars and people most of the day, the metro has become the fastest means of transportation in the Egyptian capital. Although the metro can get rather crowded during the rush hours, it is still a good way to get around Central Cairo. Do Egyptians speak languages other than Arabic? Most Egyptians, who live in the cities, speak or understand at least some English words or phrases. Fewer Egyptians can speak French, Italian, Spanish, and German. professionals, who work in the tourism sector, are accustomed to visitors who cannot speak Arabic and they will speak enough English and other languages to fulfill the needs of most travelers. Is it a common practice to give tips in Egypt? Service charges that have been included on your bill go to the restaurant, not the waiter. Be sure to tip the servers 10% in addition by handing it to them directly. Do I have to learn Arabic in order to enjoy my visit to Egypt? It is always good to learn a few Arabic words to expressing greetings or thanks. If you are planning to visit some places other than popular tourist destinations, it is advisable to learn some Arabic phrases. What different types of hotels are there in hotels in Egypt? What about check-in time? 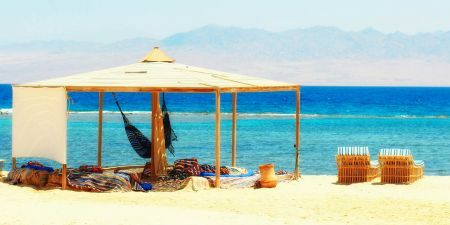 Accommodations for travelers in Egypt fall across a broad range—everything from world class luxury to simple hostel accommodations are available. The nicest hotels compare well with luxury hotels anywhere, Egyptian hotels have their own rating system that loosely classifies them on a 5-star scale. The check-in time in most hotels in Egypt is around midday, 12 or 1 PM. Can I take pictures while visiting the monuments in Egypt? Photography is allowed in most of the historical sites and museums in Egypt, but some of them have extra charges for taking in a camera. 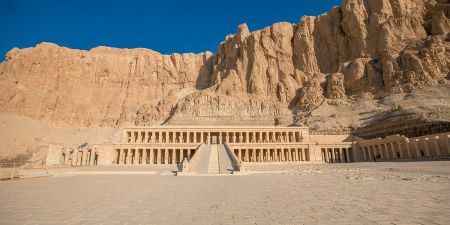 in some museums, like the Egyptian Museum of Antiquities, and some historical sites, like the Valley of the Kings in Luxor, photography is prohibited and visitors are asked to leave their cameras at the reception before entering. Is there any special dress code to be followed during visiting a mosque in Egypt? modest dress would be highly recommended and in some mosques, women will be asked to cover their hair and perhaps their arms and legs. Both women and men will be asked to remove their shoes before entering a mosque. Are there any health issues that I should worry about in Egypt? Some travelers might suffer sunburn or heat stroke from the heat and sun during the summer if they are not careful; however, taking the proper precautions and drinking bottled water can eliminate any health risks. Can I bring a supply of cigarettes & alcohol while visiting Egypt? It is always recommended for travelers who wish to have their own supply of cigarettes and alcohol with them in Egypt to purchase them upon arrival. There are duty free shops in the airports in Cairo, Luxor, Hurghada, El Gouna and Sharm El Sheikh. Tourists are allowed to purchase up to 3 liters of alcohol and up to 200 cigarettes on arrival. What are the opening hours for shops and different stores in Egypt? Most of the shops in Egypt open from around 10 AM and stay open until 10PM; however, many shops, cafes, and restaurants especially in major cities stay open much later and some facilities and shops are open 24 hours. What are the opening hours for monuments in Egypt? Most of the monuments, historical sites, and museums in Egypt open from 9 AM until 5 PM. Open-air historical sites, like the Pyramids of Giza, are open from 8 AM until sunset. Some museums have morning opening hours, from 9 AM to 4 PM evening opening hours, from 5 PM to 9 or 10 PM.During Ramadan, the holy month of the Islamic calendar, be aware that these hours will change significantly. Is there any special advice for women travelers while visiting Egypt? In less touristic places, relatively modest dress is recommended. Women should avoid very tight clothing, keep their shoulders and knees covered, and avoid very revealing necklines. Men should also avoid particularly revealing clothing. wearing shorts is not very common among Egyptians. Dressing with relative modesty is a way of respecting the local culture. The metro in Cairo has separate cars for women that might be more comfortable, especially during rush hours when the cars can be very full. How much should I tip? In a restaurant, it is good to give between 5 and 10% tip directly to the waiter. For a small favor, like carrying luggage or parking a car, a few Egyptian pounds would be appropriate. Not more than five. Often times in Egypt you will find someone tending to the bathroom to keep it clean. Giving them one Egyptian pound is an appropriate amount. Tipping your tour guide and vehicle driver is completely optional but should be considered if you're provided with great service. If you decide to tip feel free to give what you think your experience was worth. The currency of Egypt is the Egyptian pound, The value of the Pound is effectively fixed at the rate of 0.056 LE to 1 USD, Credit cards are widely used in Egypt. The metro is one of the best ways to go from one place to another within Cairo. Arabic is the official language, English is widely used as second language. Try “Fool”, Egyptian beans, and “Koshary”, a traditional Egyptian pasta dish. Try Kebab and Kofta, the Egyptian traditional meat dish. Visit the Pyramids of Giza, the Sphinx and valley temple which belongs to king Chephren. See Luxor temple, Hatshepsut temple, Valley of the Kings and Karnak temple in Luxor. Admire the wonders of ancient history at the Egyptian Museum. 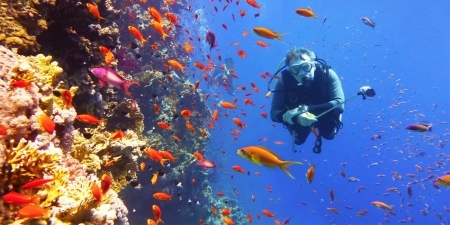 Dive or snorkel in Sinai or cities situated on the Red Sea. 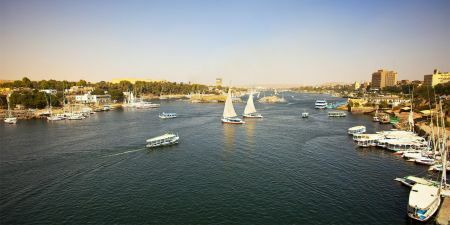 Going on a Nile Cruise from Luxor to Aswan or vise versa. Shop at Khan El Khalili touristic market in Cairo. Visit Philae and Abu Simbel temples in Aswan. Visit the Saint Catherine Monastery in Sinai. Exploring Islamic Cairo on foot.